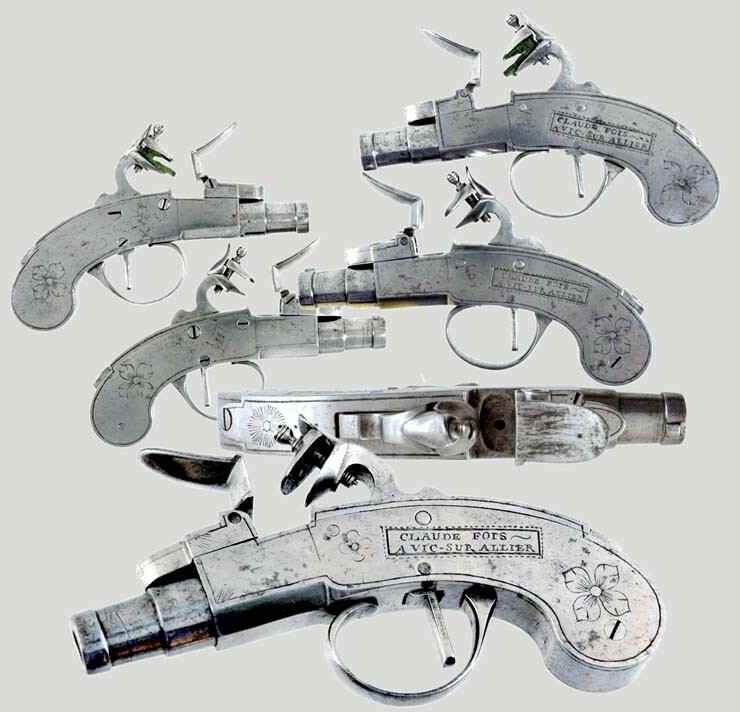 Pair of French All Steel Flintlock Pistols, Circa 1800: Approx. 32 cal., 1 1/8" cannon shaped turnoff barrels. All steel boxlock bodies engraved with primitive flowers and starbursts and signed 'CLAUDE FOIS A VIC SUR ALLIER'. Plain frizzens, hammers, and triggerguards.